Have you heard about Cat Chat? It was a typical Sunday morning at our parish when we walked out and saw the Light House Media CD display table at the back of our church. But this Sunday was different I actually had extra money in my wallet and thought – let’s take a closer look at the CD’s they’re offering – well I can’t go into all the incredible CD’s that Light House Media offers in this posting – I will say it is well worth checking their website out – you’ll love what they offer. 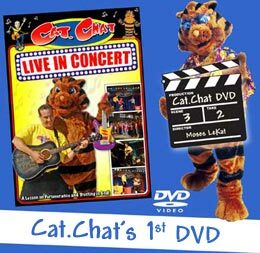 I spotted some great CD’s by Scott Hahn, one by Kimberly Hahn, Matthew Kelly… and then I saw this CD called Cat Chat – All Saints Day Party Part 1 & 2 and The Mass Comes AlivePart 1 & 2 noticed they were for kids and thought I’d pick them up. Well we put the Angels and Saints Party CD on and our lives were never the same again – as it first began a cat was talking about how we were going to learn about Cat Chat – Catholic Chat – I wasn’t sure what to expect – but then the audio show began with an array of characters, wonderful catholic teaching and cool well written songs to reinforce the lessons – my daughter whom was 3 at the time was hooked! All she wanted was Cat Chat – the following Sunday we picked up Part 2, the Sunday after that ordered CD’s to give away to about 10 friends, a week later I bought the whole set from their website, the week after the whole set for my two godsons! 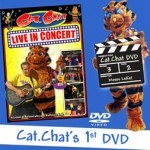 We even own the DVD – which has made its way around our friends and back again. Cat Chat is still a regular favourite in our home and car! Although they are a bit of an investment they are worth every penny – kids aged 2 – 10 love these. 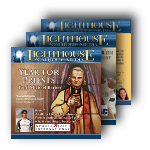 I’ve noticed that at the beginning of December for the past two years their CD’s have gone on sale for about $7 each – so if your budget can’t afford these right now – try buying them through light house media ($3 a CD or $2 MP) or waiting till December. They also do live shows check their website to see if they’re coming to your area soon or do what my friend is and book them for your school! In: Faith Building Resources, Great Books! Great Catholic Books Every Child Should Read! I don’t know about you but my husband and I are always looking for great new books to share with our kids to help foster their faith. There are many books out there but we’re always looking for the gem or the hidden treasure that will help them blossom – and that we’ll enjoy reading to them over and over. So I thought I’d share some of the Jewels we have been blessed to find and that we continue to find along the way. Below is a list of books we think every child should read or have on their book shelf. I have also generated a list of other great books that I’d highly recommend! Sometimes a book comes along and you read it and want to share it with all your friends. I was babysittin g for a friend when I found just such a book. Loyola Kids Book of Saints from the very first page I was gripped. I wanted to read more – I couldn’t wait to get a copy of this book to share with my own children, copies to share with my godsons and friends. The author’s simple and easy to understand language and explanations were refreshing and rejuvenating. Ever wanted to explain what a saint was to your child or a fellow friend whom just didn’t understand – Amy’s introduction is so beautiful and easy to read and follow it is ageless – not only will your child understand right away the church’s teachings on whom the saints are but they’ll be excited to learn more about the saints and want to strive to be like heavens hero’s! The short explanations of the saint’s lives are lovely, fun, factual and exciting. Many saint books just don’t keep a child’s attention or use their imagination. This book will have your kids asking for more! It also gives practical ways your child can live out the different virtues the saint exhibited! A must have for every Catholic Book shelf! This incredibly beautifully illustrated and written book – will leave you lingering on its message for a long time afterwards. Do you really know how much a mass is worth or do you just take it for granted? After reading this book you will be left meditating on the true value you place on a mass. The pictures, symbolism and story are a great tool for you to talk with your child about the mass, Jesus and the Eucharist. Once you read it you’ll never forget this story that is sure to become a classic – The Weight of a Mass: A Tale of Faith ! 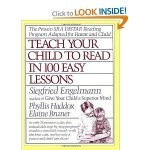 This is a wonderful book to give any child whom is preparing for their 1st communion or even as a 1st communion gift. We know that as a catholic we try to foster a deep love of our heavenly mother in our children; but sometimes we might struggle to be able to fully explain our ladies role. This stunningly illustrated and wonderfully written book – is a beautiful parallel or retelling of Mary’s role in salvation, of the gift or redemption and a great story of love. This is sure to become a favourite amongst your child! It is a pleasure to read over and over –Take It to the Queen: A Tale of Hope . Nothing brings a parent joy like seeing their child’s face beam when they are excited about something that is good for them. Imagine you could get your child to beg for more broccoli or spinach – Well if you struggle with getting your child to ask you to read them the bible – I have a secret to share with you it’s called The Jesus Storybook Bible. We gave this book to our daughter for her birthday after my sister-in-law had been raving how the whole family was enjoying it. Well we can’t read it enough for our daughter – after each story she begs for more. * It is important to point out that this is not a Catholic Bible. So although it contains many beautiful bible stories for children, it can be used a starting point to continue the fuller teaching we as the faith believe after reading the stories. I believe that instilling a love of the word and bible stories is very important for our children. If you hide the word in their hearts then it will guide them in their lives. This bible brings the stories to life and shows Gods unending love. This is the bible told in a way you have never heard it before – it is a love letter to you from God, a retelling of the stories in a whole new way, with important historical and interesting facts along the way. It shows the foreshadowing of God’s plan of salvation and shows how the Old Testament is just that. Not only will this help to develop a great love of the bible in your child, but it will help them to understand the link between the Old and New Testament – the revealing of God’s plan – Jesus! It will help them understand God’s great love for them and all humanity. To be honest we all love this book my husband and I find each other retelling the stories that we might have missed when reading it to the children.This is a permanent bedtime book for our kids – my daughter always asks “do you have the book? “And we know she means The Jesus Storybook Bible. They also sell this book as a deluxe set with the stories on CD- we own this and it is wonderfully read –great for car trips or quiet time at home. It sure beats many of the books on CD we get from the library. The cover of this book never really drew me to it – but as they say you can’t judge a book by its cover – and this book proved that to me! This wonderful book The Story of Christmas retells the story of Christmas with scripture – it is craft-fully done. It is a wonderful retelling of the birth of our Lord in a simple, straight forward way that you’ll enjoying reading to your child all Advent long! 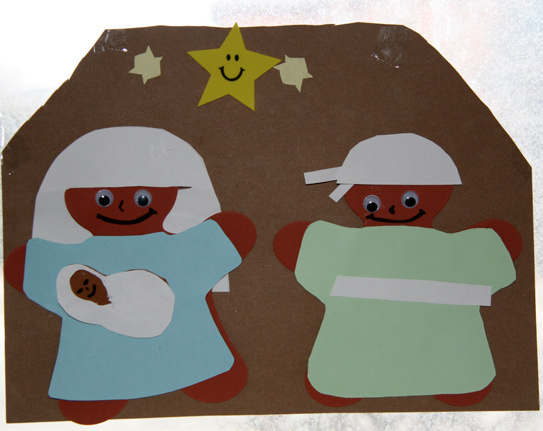 Your child will be able to retell you the true story of Christmas in no time at all! For younger children: A great way to start Christmas morning is by reading this story followed by singing Happy Birthday to Jesus. This book makes a great gift, stocking stuffer or thank you gift to your nativity patient participants at only $1.49 a copy at Christianbooks.com it’s hard not to give this to all the kids on your list at Christmas! This wonderful set contains 20 books – which you can purchase individually or as two separate 10 book sets. 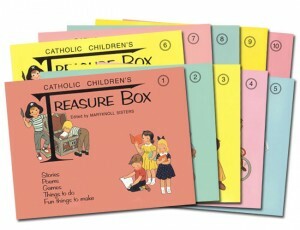 It was originally written as a sort of Catholic Children’s magazine and has become a timeless classic. Each book has a story of a saint, Mary or Jesus as well as a story about an angel which is continued in other books. It is full of other short stories, poems, game/craft ideas and a lesson or prayer on the back. I’m not sure what draws people to magazines – but you whatever it is they have mastered it and replicated it here for your kids but without the advertising and it is only packed with goodness, values and fun. Kids just can’t get enough of these wonderful books. They are packed with faith filled learning for your kids. My husband and siblings had these as children and carry many fond memories from the stories, games and crafts they learnt through them. Ever wanted to start teaching your child the special gift of purity at a young age – well here is the answer. These artfully written books were written by the author with just that in mind. 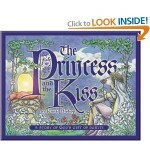 She has written a book for young girls Princess & the Kiss: A Story of God’s Gift of Purity and one for young boys The S quire and the Scroll to help teach them about the special gift that they are and that they posses and how it is too precious to be given to just anyone. 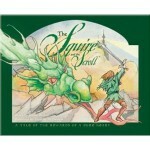 It is a slightly longer story so I recommend it for children with longer attention spans or from about age 5. These are a beautiful way to teach your princess or knight how to live virtuously from a young age. They are beautifully illustrated too! Comments Off on Welcome to the LittleWays – finding ways to celebrate our love of Jesus and our faith in all the little ways daily as inspired by St. Therese! I just had to share the most beautiful Silly Bands I have seen yet. My friend Paul the owner of Life Cycle Books had these incredible Silly Bands custom made. I got a couple packs of them last week and since then anyone I show them too loves them. My one friend ordered 10 packs to give to her kids, neices and nephews, neighbours, etc. 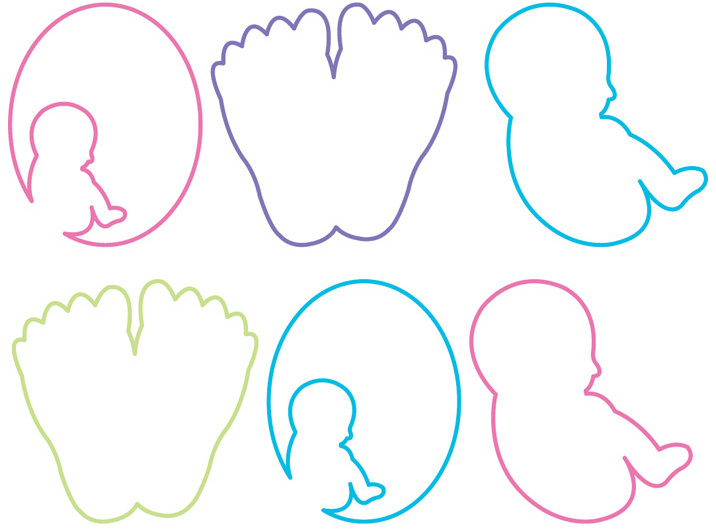 They are just so thoughtful, unique, educational, fun and wonderful that I had to share them with you! 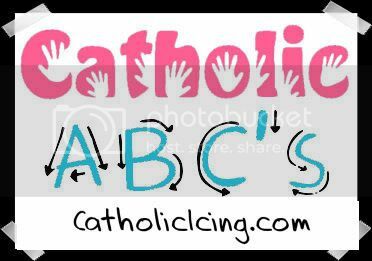 At only $4.00 a package of 24 they make a great gift for anyone or buy them in bulk and use them as a fundraiser for your local pro-life group, parish, home school cop, etc! St. Nicholas Feast Day Ideas! My kids have just had a blast waiting for the feast of St. Nicholas this year. Reading stores about his life had them very excited for his feast day. 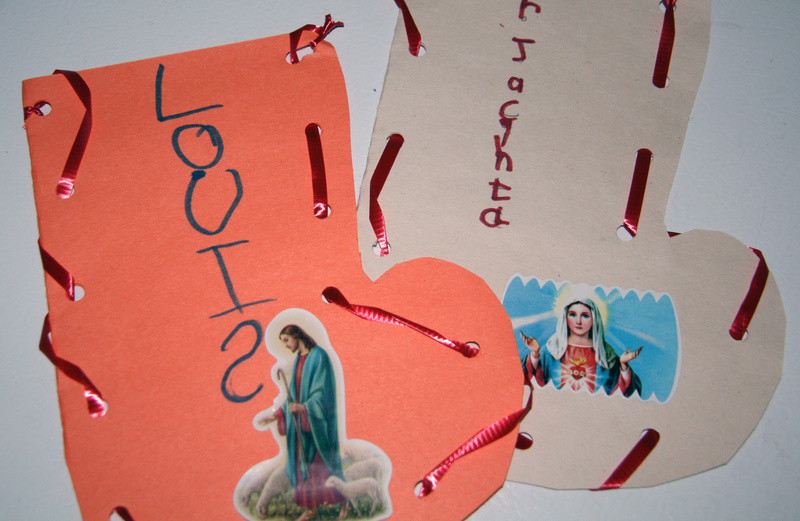 A great craft we did this year on his feast day was co louring in this free beautiful holy cards that we found at The St. Nicholas Centre website. 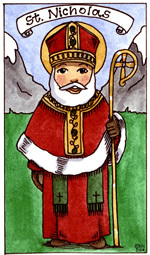 They have these free printable St. Nicholas holy cards from Catholic Artworks (which I love) we printed them off in black and white so the kids could color them but they also have them for free in colour too! My daughter really enjoyed colouring these in -we have cut them out and are including them with some of the Christmas cards we`re mailing out! She also cut St. Nicholas out and glued him to a popsicle stick to make her own puppet! 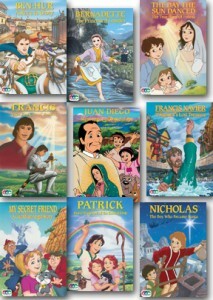 We have two great movies we`d like to share about this great saint for kids! 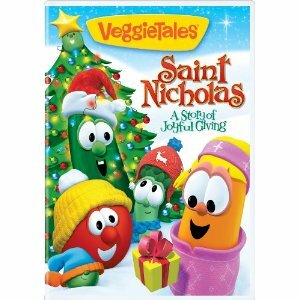 The Other movie we like is Veggie Tales: Saint Nicholas: A Story of Joyful Giving – this is a cute retelling of the story of St. Nicolas. I don`t know about your kids but mine love veggie tales so this has been a big hit with them this year! It has all the veggie tale silliness, goodness and cuteness expect! 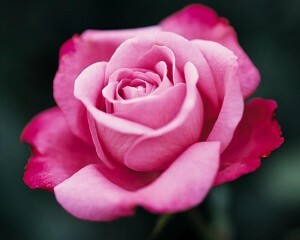 You have come to know and love! 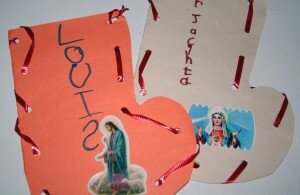 Here is another great craft for St. Nicholas you might enjoy – A Stocking Craft!